A fresh, inspiring and important new perspective on the psychology of being ‘true to yourself’. In the past few years there has been an explosion of research pointing to authenticity as the key to fulfilment, vitality and well-being. Stephen Joseph has pioneered developments in this new field, drawing on the solid science of positive psychology to develop what has become one of the gold-standard tests for assessing authenticity. His and others’ findings reveal that when people are in relationships in which they feel accepted, understood and valued, they drop their defences. They naturally begin to examine themselves psychologically, accommodate new information and live more authentically. What’s more, the latest studies reveal that it is authenticity that leads to true happiness. Drawing on the wisdom of existential philosophers, the insights and research of psychologists, and case studies from his own and others’ clinical experiences, Joseph shows how authenticity is the foundation of human flourishing – as well as how the new findings relate to debates about the importance of happiness and its measurement in public policy. An authentic life is much sought after, but sadly many of us become derailed in our quest. 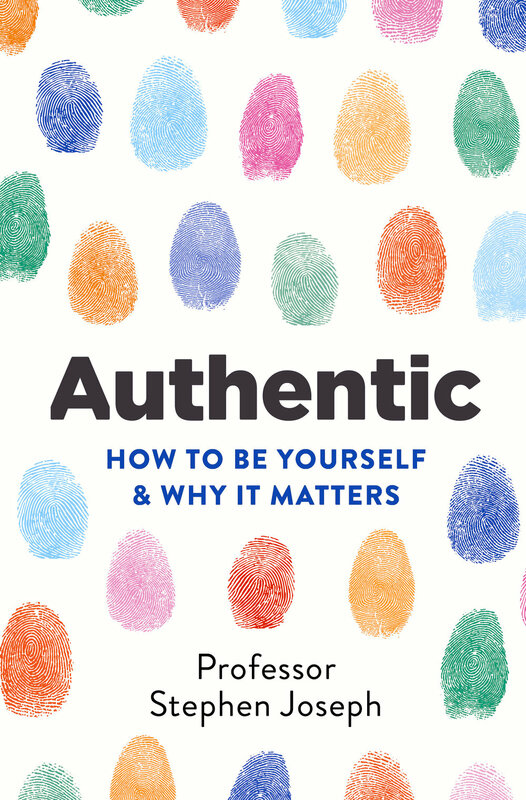 Introducing the authenticity formula of ‘know yourself + own yourself + be yourself’, Authentic examines what we can do to get ourselves back on track.